It's safe to say I love elbow-patch details almost as much as I love stripes and polka dots. Combine any of the two and I'm head-over-heels, lol! 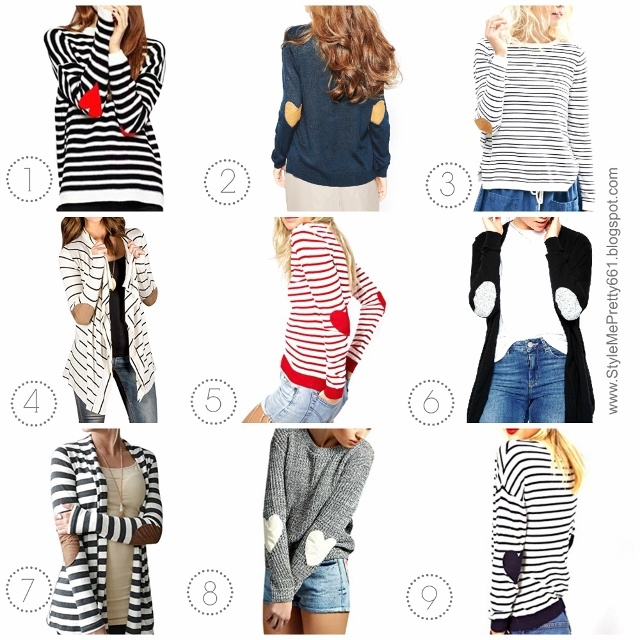 If you have a slight obsession with elbow-patch sweaters and tops like I do, I've got you covered! I've quickly rounded up several that would make the cutest addition to your Fall wardrobe, and most are super affordable at less than $30 -- can't beat that! I hope this tip helps, and if you ever have any questions about sizing on any of the items I feature, feel free to reach out and ask and I'll be happy to help! Which sweaters are you coveting for Fall? Thanks for reading, and enjoy the rest of your Labor Day!